Has Green Infrastructure Peaked or Plateaued? 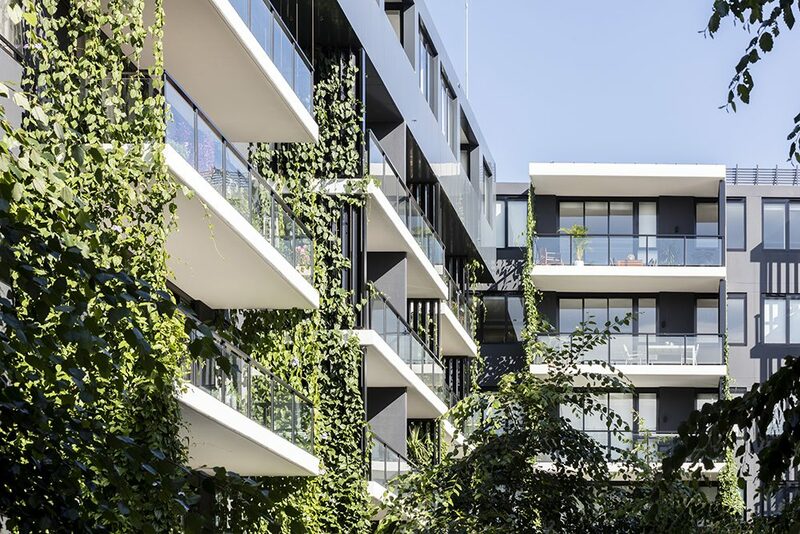 In recent years there has been a flurry of interest in green infrastructure (such as green facades, walls and roofs) across the world. For example, in the ten years to 2016, green infrastructure activity increased 900% in Singapore and 360% in London. Many cities across the world also have government policies in place supporting, facilitating and encouraging green infrastructure. 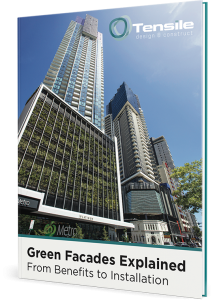 Several councils in Melbourne for instance endorse the University of Melbourne’s Growing Green Guide and support the development of public and private green infrastructure projects. However, some key industry players are finding that while knowledge of green infrastructure has grown lately, its uptake seems to have plateaued. 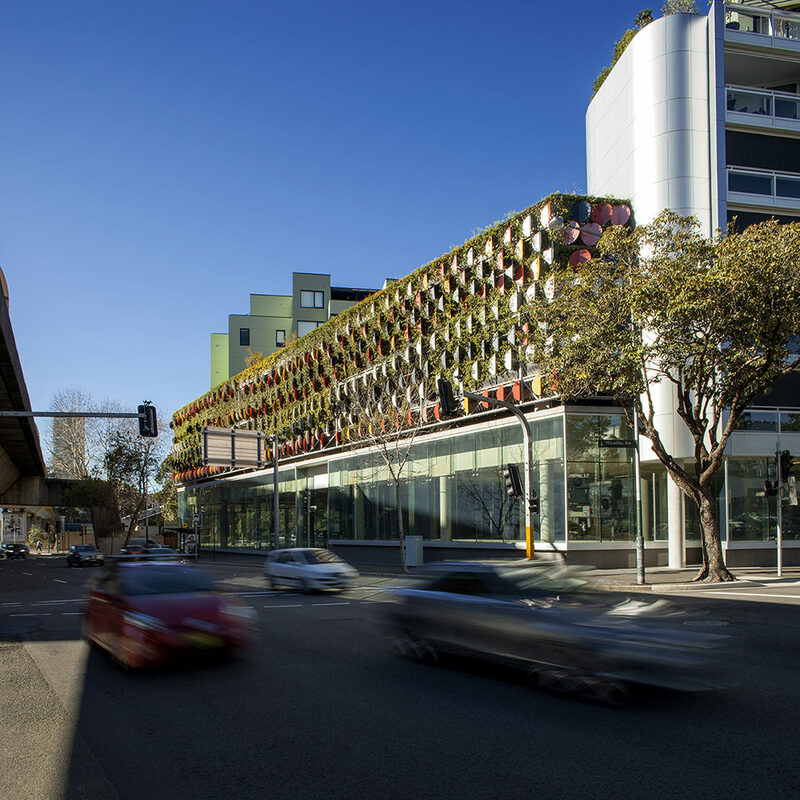 The focus has certainly shifted from aesthetics to function, with green infrastructure increasingly being installed to fulfil a purpose, such as sun shading or storm water retention. But the plateauing appears to be largely due to some of the misinformation out there on green infrastructure. Costs – the perception that green infrastructure is very costly with limited returns. Plant failure – e.g. that plants die off and need constant replacement. Loads – concerns about green infrastructure putting heavy loads on buildings and degrading their performance. Water problems – such as anxieties about the potential for water leakage. In cases of poorly designed or badly maintained green infrastructure projects, these concerns could certainly be understandable. However, they can all be addressed with the right approach to green infrastructure installations. While there is an upfront cost to a project, a quality green infrastructure installation can provide economic benefits such as cooling of building walls and reduced energy costs. Other economic benefits may include the potential for increases in property values, occupancy levels and rental returns in residential and commercial buildings and increased custom in retail centres. Plant failure is very unlikely with proper care from a contracting company that has expertise in vertical gardens. A maintenance plan also needn’t be a huge undertaking as once a green installation is established, it may only require expert care once or twice a year. Providing the project is precision-engineered at the design stage there is no need to be concerned about excess strain on the building. There is also some evidence that building longevity may be increased through green walls as they can offer a layer of protection from the elements. With rigorous site assessments, good design and a professional approach to drainage issues, concerns about leakage can be fully addressed. If you are interested in a green infrastructure project but concerned about how well it will perform, feel free to get in touch with us for a discussion.